In the fast paced world of today, convenience has become an integral part of life. A few decades ago, you had to step in, step out of stores to find a product. But now you are just a click away or a swipe away, from meeting your needs. The evolution of e-commerce has made this possible. The significant increase in the online trading percentage depicts that electronic commerce is no longer a passing trend. It is said to reform and revolutionize businesses of all sizes.Several local traders have made to the national level only with this limitless technology. It has a vital part to play in all business ventures. E-commerce brings about free advertising to your organization. It can provide you better search rankings and conversions. This hassle-free technology allows you to meet your client’s demands much quickly. Here are the top five trends of e-commerce that is going to lead the world for the better. From the age of computers, we have evolved into the Smartphone era. Consumers similarly are heading towards the global business markets. E-commerce facilitates a better reach for all business owners. Overseas trading will no longer be a dream for our domestic merchants. 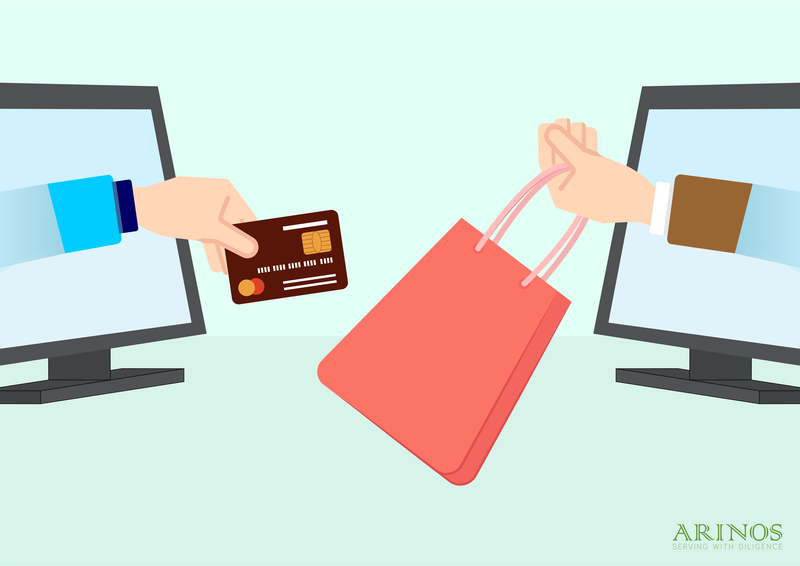 E-commerce portals allow the products to be compared easily. Customers will have access to greater varieties of products at reasonable costs. Thus, e-commerce will eventually lead to the saturation of prices across the markets. The e-commerce era will give rise to a personalized shopping spree. The marketers would establish a personal connect with their clients. Several renowned companies have already witnessed their success with this trend. In the age of tablets, iPads and Smartphones, e-commerce will enable the mobile transactions to flourish. Many e-commerce sites have already become mobile-friendly to capitalize on this empowering trend. E-commerce lays its emphasis on textual content that converts the visitor to become a consumer. It also promotes video marketing for prospective buyers. Targeting consumers based on a niche will gain the impetus to keep driving the business. It’s Time to embrace E-Commerce Solutions and take your Business to the next level. Excellent post. I was checking constantly this blog and I’m impressed! Very helpful info specially the last part 🙂 I care for such information a lot. I was looking for this particular info for a very long time. Thank you and best of luck. But what are actually the 5 top driving forces to set-up an e-commerce channel? Nice post. I learn something totally new and challenging on blogs I stumbleupon on a daily basis. It’s always useful to read through content from other authors and practice a little something from other websites. You have got superb thing at this point. Greetings! I know this is kinda off topic however I’d figured I’d ask. Would you be interested in trading links or maybe guest authoring a blog article or vice-versa? My website covers a lot of the same topics as yours and I feel we could greatly benefit from each other. If you happen to be interested feel free to shoot me an email. I look forward to hearing from you! Fantastic blog by the way! Thanx for the effort, keep up the good work Great work, I am going to start a small Blog Engine Thethoughts you express are really awesome. Hope you will right some more posts. Thank you so much for your comments. Keep looking at this space for more articles and updates from us. I became honored to obtain a call coming from a friend as he identified the important points shared on your own site. Looking at your blog write-up is a real amazing experience. Thanks again for taking into coiasderntion readers like me, and I hope for you the best of achievements as being a professional in this arena. It is really a great and useful piece of info. I am glad that you shared this useful information with us. Посоветуйте отличную игруху, чтоб смогла завлечь надолго и не наскучить?